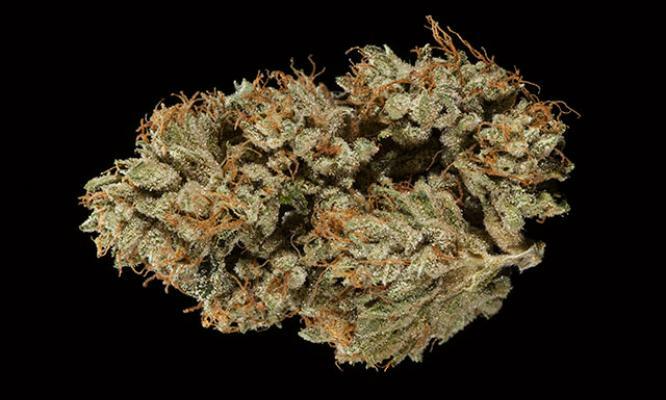 It’s that time of year again, when we look back at our most recent round of Cannabis Cup competitions to determine who had the strongest cannabis on the planet in 2014—and, more importantly, exactly which strains they were! After implementing our online Cannabis Cup scoring system three years ago—the High Times Scorebook, which includes lab tests as part of the scoring equation—we now have a very good handle on which strains are the planet’s most potent, year in and year out. In order to ensure that all regions are represented, we decided to change up the format this year: Rather than rank the top overall strains, we’ve taken the top five from each Cup in 2014 and listed them in order of THC potency. This also helps to illustrate a growing concern regarding consistency in the data provided by cannabis-testing labs around the world—a concern that will be addressed later in this article. So without further ado, here’s our list of the strongest sativas, indicas and hybrids that Ms. Cannabis sativa L. had to offer in 2014. We hope you had a chance to enjoy at least a few of them, but if not, don’t worry—these ladies won’t be going away anytime soon. Results from Iron Labs, Walled Lake, MI, using gas chromatography–mass spectrometry (GC-MS). Ghost Train Haze #1 appeared in our very first “Strongest Strains on Earth” list, taking the prize as the most potent strain of 2011. Back then, she hit 25.49% THC at the Denver Cannabis Cup. In 2014, she’s our THC champion once again, coming in at nearly 2% higher. Entered by OrganiBliss, and grown by the Leaf Doctor, she was propagated from seeds produced by Rare Dankness. The flowering time was 80 days. While it was the strongest strain of 2014, Ghost Train Haze took only second place in the Sativa Cup, getting edged out by Arborside Compassion’s Catfish, which hit 20.32% THC. Hey Dave, an indica-dominant cross of OG Kush x Afghani Kush x Casey Jones, was grown from seed in a deep-water culture (DWC) system. Alien Dawg, which placed second in the Indica Cup, was an F2 resulting from a Chem D x Alien Tech cross. She was grown from seed using Pro-Mix soil and organic teas and was one of the best flavors of the 2014 Michigan Cup. Her flowering time was 69 days. Results from CSA Labs, Los Angeles, CA, using GC-MS.
Red Dragon won first place in the Sativa Cup and is a Utopia Haze x Himalayan cross. Grown from clone, she took nine and a half weeks to finish and was the most potent sativa in her category. White Fire OG and Guava Chem topped the THC charts in the hybrid category, though neither placed in the Hybrid Cup. Instead, Gorilla Glue #4 (20.4%) and two OG hybrids (both below 20%) took Cups home. Guava Chem from San Jose Patients Group is a clone-only cross of Star Dawg x Tres Dawg, essentially making her a quadruple Chem D with a splash of Afghanica. Off-the-charts aroma and flavor. Strawberry Banana is a Bubblegum x Banana Kush cross and goes nine weeks in flowering. It is no accident that we left Denver out of this year’s rankings for the strongest strains on Earth (a.k.a. “The List”). For starters, the Denver Cup annually produces a majority of the winners on The List, so this year we thought we’d showcase more of the great strains from other Cups around the world. Last year, Denver accounted for 10 of the top 15 strongest strains from the previous year’s Cups (2013). Of course, this leads us to wonder whether Colorado’s labs are doing something different in terms of procedures and protocols to produce these higher results. It’s for this reason that High Times uses two independent labs at every Cannabis Cup competition. To bring more consistency to our lab data and improve the overall integrity of our Cups, High Times has teamed up with Steep Hill Halent, one of the first national cannabis-testing labs in the US, for an official partnership that has Steep Hill serving as one of two labs at every Cannabis Cup competition we hold around the globe. Results from Steep Hill Halent using a QuantaCann2 (IR-referenced technology). None of the top five most potent strains from the 2014 Amsterdam Cup placed in the competition. Nearly half of the Amsterdam winners had from 3 to 5 percent CBD in their cannabinoid profile. The highest-tested strain in the competition—Extreme OG, a Fire OG x Green Ribbon backcross—was grown using Kyle Kushman’s Veganic nutrient line, Vegamatrix. Tangerine Dream (from Barney’s Farm) won the 2010 Cannabis Cup in the coffeeshop category. Granddaddy Terps is a Purple Cheddar (Exodus Cheese x GDP) x (Chem Bx x SFV OG) cross. The Sauce is a Gorilla Glue #4 x Green Ribbon Bx backcross. Green Ribbon is a newer, relatively unknown California strain whose lineage is murky. Green Crack is presumed to be one of the parents, and she is known to have a THC content in the low 20s. It was a hard decision to make, but for this year’s ranking of the strongest strains on Earth, we decided to change up The List’s format and deviate from our traditional order to instead highlight each region’s most potent strains. We did this for a couple of reasons, the most important being that in 2014 we used several different labs across our Cup competitions, resulting in some variation in the data obtained. This is an issue that the cannabis industry has been grappling with for several years now: how to arrive at a consensus in terms of lab standards and testing protocols. Each lab has different types of equipment, calibration techniques, and equations applied to the results to come up with specific values. This problem not only creates confusion for the general public, but also sparks debate among labs as to which methods are best for calculating values like THC and CBD levels. Some labs prefer to use equations to arrive at an “activated THC” value, or the amount of THC that the user actually receives upon smoking (see page 84). Other labs present the highest possible THC value, or the plant’s maximum potential, by adding the acid form (THC-A) to the already present THC level for a much higher (though unrealistic) number. And still other labs don’t possess the necessary equipment (high-pressure liquid chromatography, or HPLC) to derive either of these equations and simply use a gas-chromatography device that heats the material and gives an already decarboxylated THC value. This is why Cup results obtained using gas chromatography have slightly higher potency values for THC. In the end, this problem poses a real dilemma for our burgeoning legal cannabis industry, and it’s an issue that is being worked out among the nation’s top labs, including Steep Hill Halent, SC Labs, the Wercshop and many other members of the Association of California Cannabis Labs. Results from Steep Hill Halent using high-pressure liquid chromatography. The top five strongest strains from the NorCal Cup in Sonoma last year were all sativas. The next five were all hybrids. The top indica from the competition (Banana OG) reached only 16.42% THC. Two of the top five strongest strains from this Cup (Nightmare & Jesus OG) were grown using Veganic nutrients. Nightmare flowered over 13 weeks and was grown from clone. Her lineage is unknown. Jesus OG is actually a sativa-dominant cross of Hells OG x Jack’s Cleaner x Space Queen. She was grown using Kyle Kushman’s Vegamatrix nutrient line. Results by Steep Hill Halent using high-pressure liquid chromatography. Four of the five strongest strains listed here were grown using either organic or Veganic nutrient lines. Kaya’s Koffee is an Alien OG x Alien Kush (F2) grown from clone in soilless mix using Veganic nutrients. She flowered in 70 days. Of the five most potent strains from Seattle, none were sativas. The highest-tested sativa was a Super Silver Haze at 18.6% THC. Veganic Starkiller OG took first place in the US Hybrid Cup; Kaya’s Koffee took third in the US Indica Cup; and Zeus OG took first in the Medical Hybrid Cup. HSO Sapphire Scout is a Girl Scout Cookies (forum cut) female crossed with a reversed True OG Elite Cut. You will notice that the values provided by Steep Hill Halent are slightly lower than most other labs’ values. This isn’t because Steep Hill uses a more conservative test for cannabis potency, but because it applies an equation to the results that, thanks to a lot of time and research, calculates the activated THC value of each flower. “Activated THC” simply means the amount of THC that the user actually receives when smoking the buds, since not all THC-A is converted to THC in the decarboxylation process; nor is all THC captured by the smoker during inhalation. Thus, the equation for activated THC looks like this: (THC-A x 0.66) + THC. Remember, a dried bud is mostly THC-A, which is the acid form and contains only a minute level of actual THC. THC-A must be decarboxylated and converted into THC by a chemical reaction caused by heat. High Times Scorebook uses this activated-THC number in its scoring algorithm whenever possible to calculate the overall scores in our competition.